Certainly the prime print is the great full front page print by the famed artist A.B. 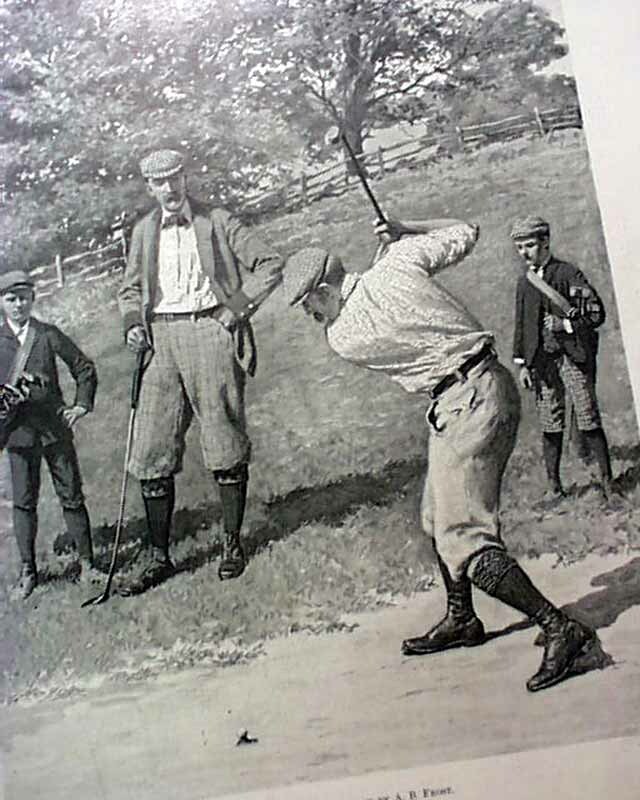 Frost titled: "The Drive" showing a golfer about to tee off, with others behind him. Inside is a one-third page portrait of "Professor Henry Drisler. "; a full pg. illus. of: "England's Little War in India. "; a doublepage centerfold of: "The New York Public Library Astor Lenox and Tilden Foundations"; a full pg. print of: "A Great Coast Defence [Defense] Gun for the Protection of New York Harbor"; and a half pg. print of: "Sunrise from the top of Pike's Peak." 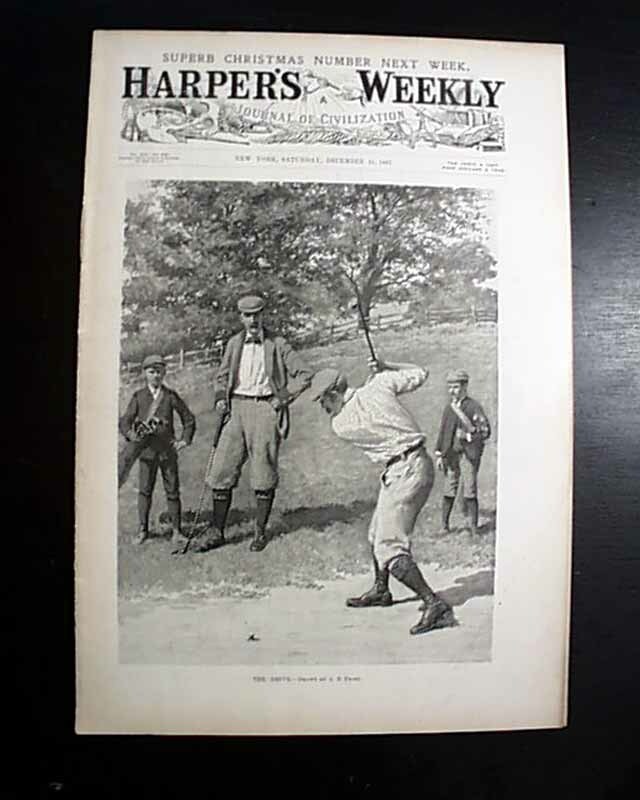 Towards the back of the issue there is also a "Review of College Football". Complete in 24 pages, nice condition.